What inspired you to create the book and release it now? 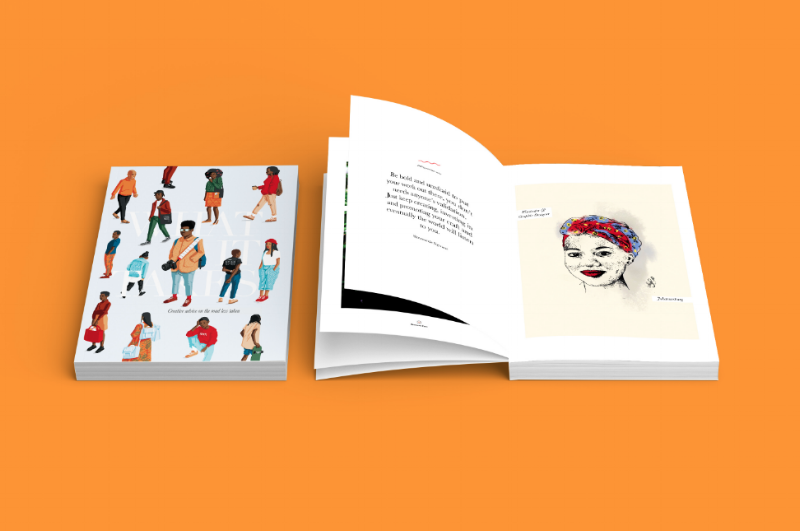 This book was inspired by the conversations we have been having with our fellow creatives about the lack of representation and participation of African creatives in the global conversations around creativity. This is the book we needed when we started on our journeys, people that look like us sharing their insights and advice based on their creative journeys. This book was inspired by our talks that we have held over the years and also serves as an opportunity to celebrate the creatives featured. It was released now because it was just the right time. There is a need for a better, more solid representation of African creatives, we exist, we are here. Now you can easily name 60 African creatives on the continent and diaspora. Musonda Kabwe illustrated an amazing cover and Abel from Samuel finished the design. Readers should expect an imperfect showcase of African creativity. Inspiring words from creatives working in film, art, design, food, illustration, education, travel, technology, skateboarding, product design & development, entrepreneurship, writing, fashion, photography, publishing and music etc. 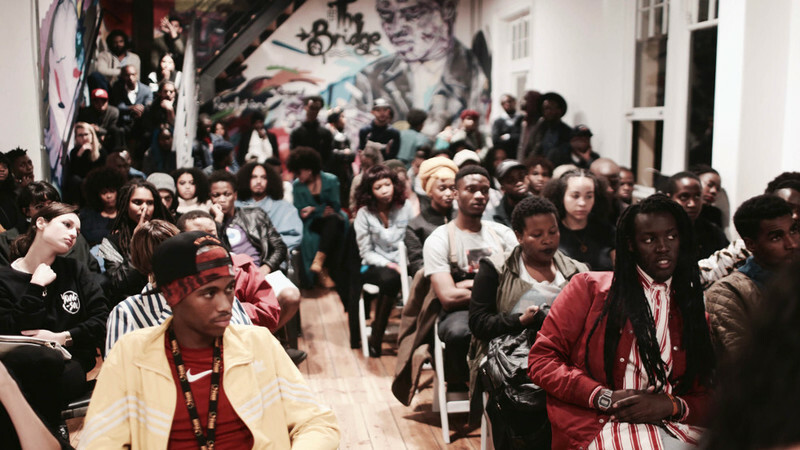 How many creatives are featured and what was the selection process? Anaka, Andile Buka, Andrew Simelane, Andiswa ‘Andy’ Mkosi, Anelisa Mangcu, Anthony Bila, Atang Tshikare, Athandiwe Ntshinga, Charmaine Ngobeni, Cherae Robinson, Daniel Ting Chong, David Tshabalala, Dylan Valley, Elisha Mpofu, Gareth Pon, Itumeleng Solar Modise, Jade De Waal, Jade Doreen Waller, JOJO ABOT, Kent Andreasen, Kent Lingeveldt, Khanya “Kyeezi” Siyengo, Khanyisile Mbongwa, Kunyalala Ndlovu, Kurt Orderson, Lethabo Mokoena, Lidudumalingani Mqombothi, Lindsey Appolis, Maneo Mohale, Marco Morgan, Mushambi Mutuma, Mx Blouse, Nas Hoosen, Nereya Otieno, Nokulunga Mateta-Phiri, Noncedo Gxekwa, Nthabiseng Mosieane, Palesa Kgasane, Rendani Nemakhavhani, Rizqah Dollie, Robin Brink, Sam Turpin, Senay Berhe, Shallom Johnson, Sibusiso Mkhwanazi, Sindiso Nyoni, Sinomonde Ngwane, Sphiwe Giba, Success Maake, Teddy Goitom, Tiisetso Molobi, Tsoku Maela, Vincent Manzini, Vincent Moloi, Vuyolwethu Dubese, Yannick Ilunga aka Petite Noir. The selection process was based on who participated in our talks and also on the diversity of experiences. Where would you like to see it stocked? Now you have released this book should we expect any other publications from Creative Nestlings in the near future? Or even an annual edition? Yes we are definitely working on more volumes of “What It Takes”, probably another one by end of the year. We are also working on more books on different subjects. We going 'Monocle' on African creativity, the door is wide open and we are starting to push in and we're taking everyone with us too.